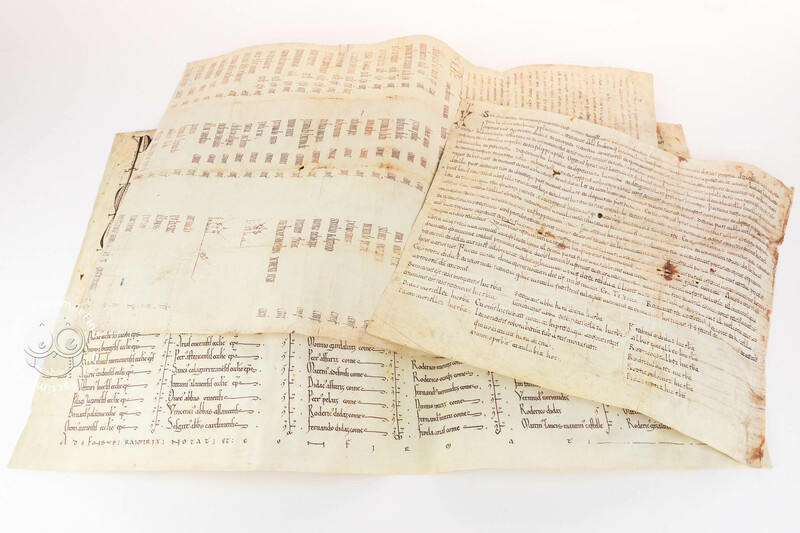 The ten documents in this publication feature Rodrigo Diaz de Vivar, better known as "El Cid". 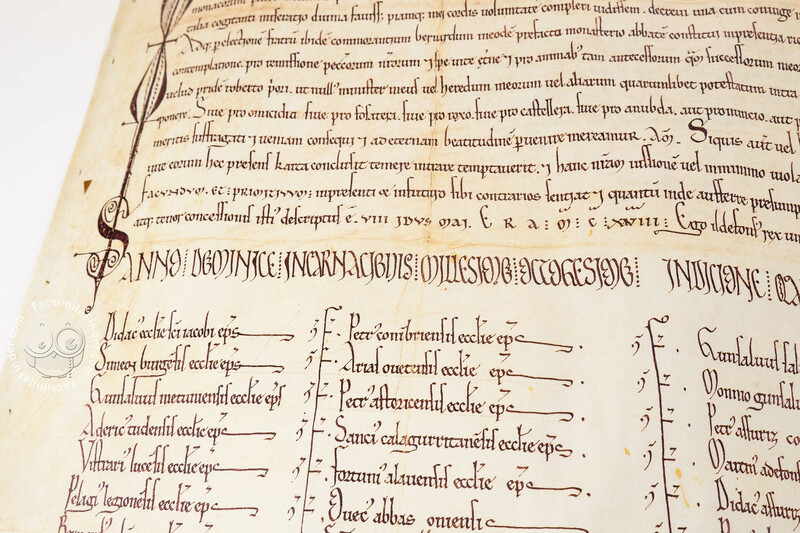 In some of them, El Cid, the main character of all the texts, appears as a donor of goods to the Church. 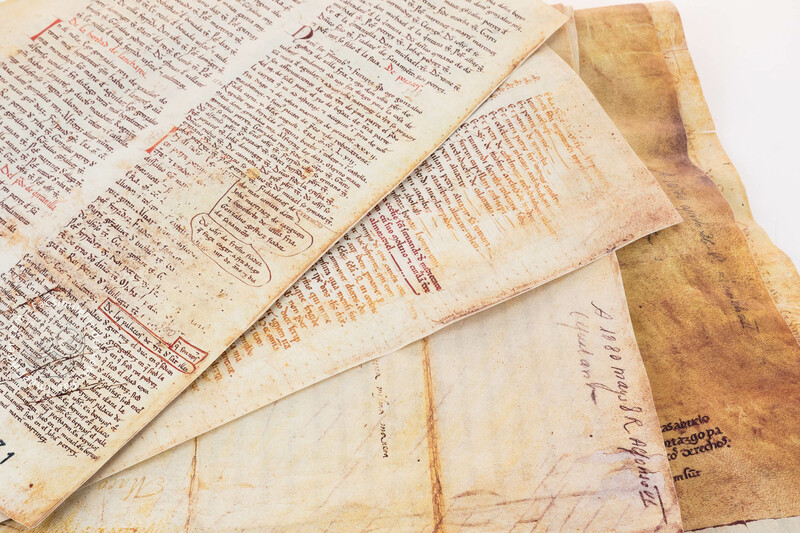 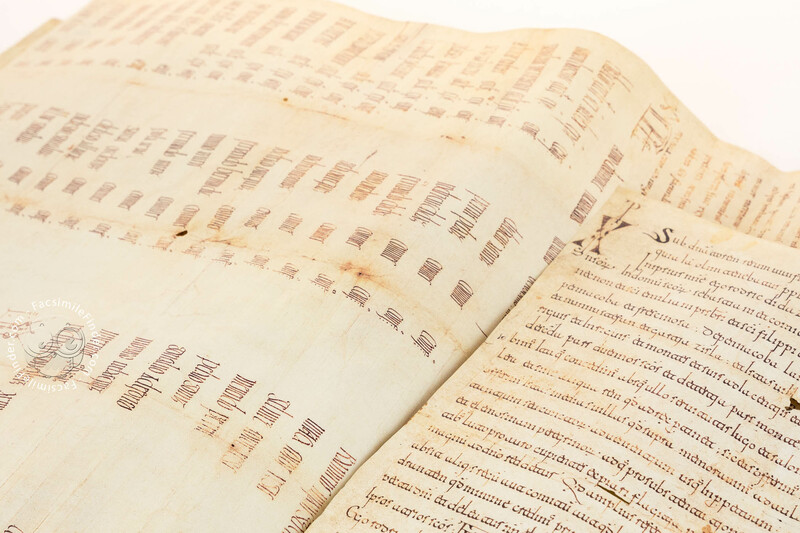 They are actually originals, copies and falsifications of El Cid's Cartulary, from various public and private archives that are currently housed in Spain's National Historical Archive. 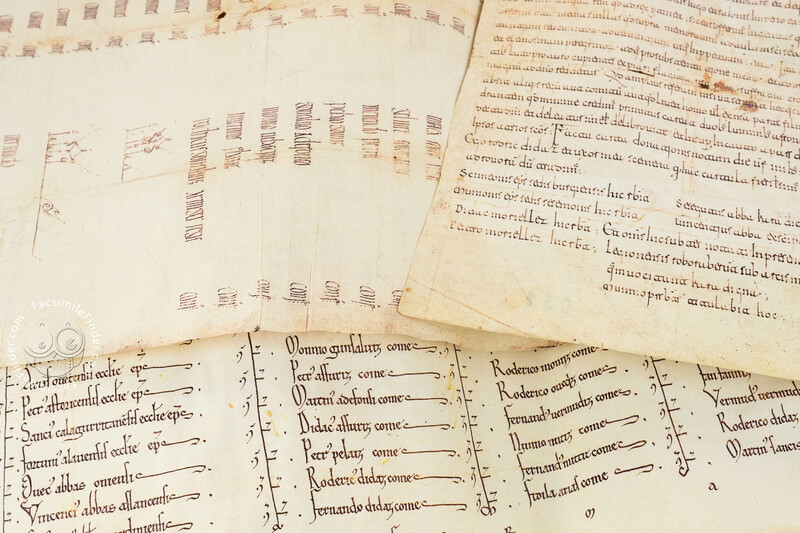 Chartularies are the mediaeval books into which monks copied the title deeds of their monastery's property. 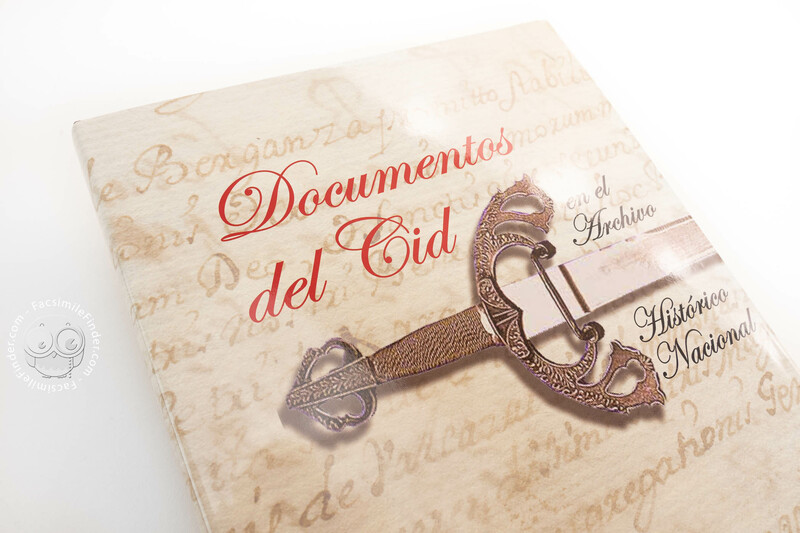 In short, these are exceedingly interesting documents for closely tracing the details of the life of Rodrigo Diaz de Vivar, because they show his religious faith, witnessed through donations, and chart his rise and fall from royal favor. 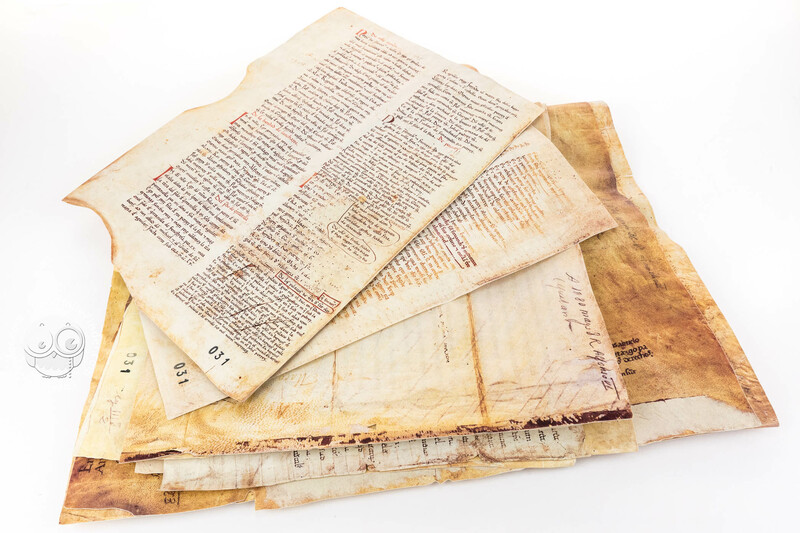 In fact, this material has been canonized and has been used as a historical foundation by subsequent biographers of the Spanish hero. 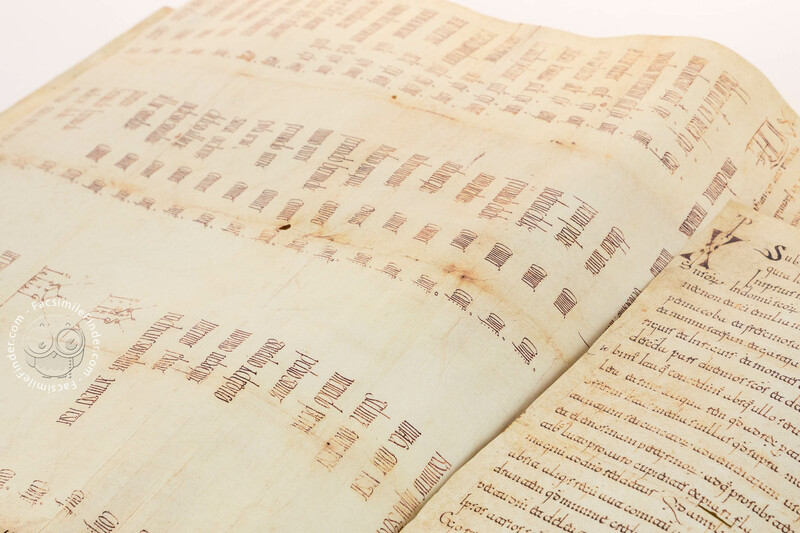 Manuscript book on parchment − 10 pp. 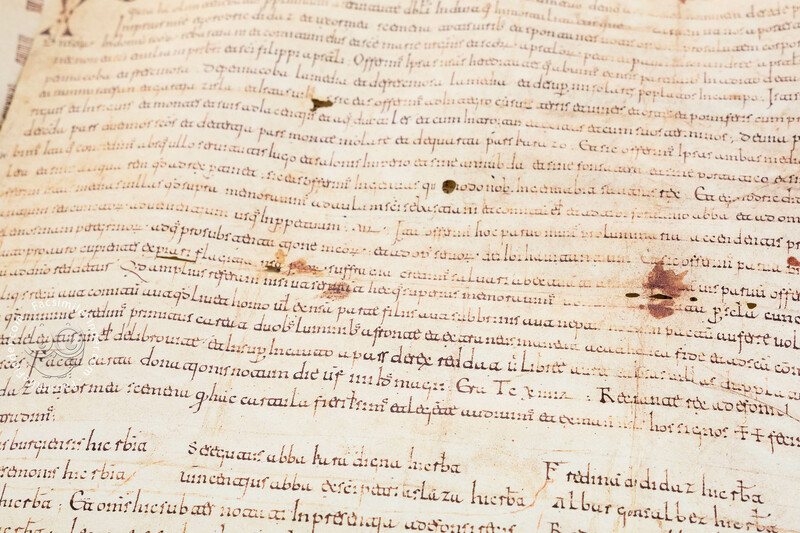 Full-size color reproduction of the entire original document, El Cid Documents from the National Historical Archive of Spain: the facsimile attempts to replicate the look-and-feel and physical features of the original document; pages are trimmed according to the original format; the binding might not be consistent with the current document binding. 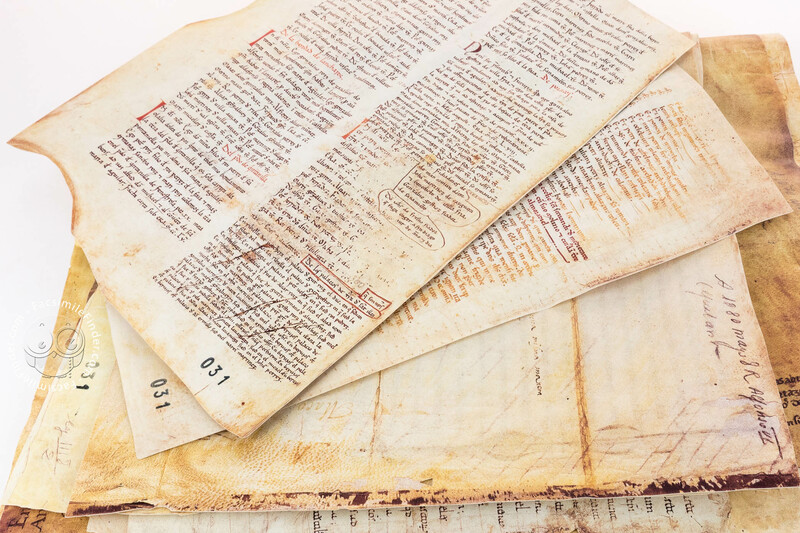 Study volume of historical and historiographic value. 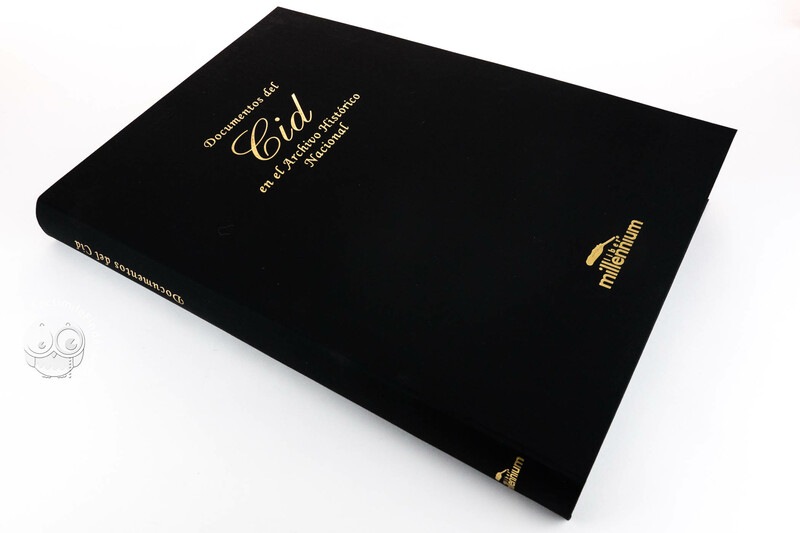 Facsimile and commentary presented in a stylish case.